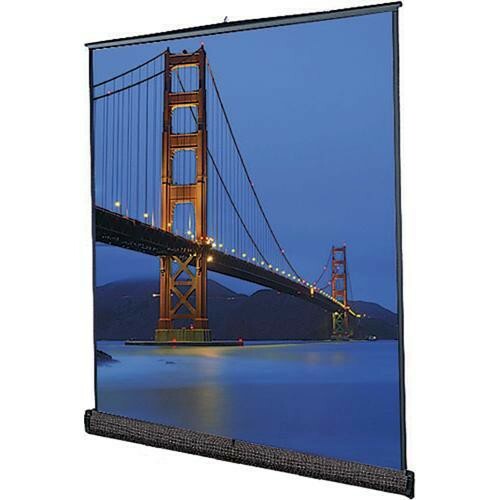 The Dalite 9x9' Floor Model C Portable Manual Front Projection Screen is designed to be raised from floor level. When finished, it retracts back into its case for easy transport. This makes it ideal for rental, stage and point-of-purchase displays - anywhere where a wall or ceiling installation is impractical. A carpeted version of the Floor Model C is also available. This version is useful when the screen is part of a rental operation since the carpet protects the metal surface from damage. It is important to note that the optional floor stand is required for this screen. Box Dimensions (LxWxH) 119.0 x 8.5 x 6.0"